Although Ukrainian President Petro Poroshenko amicably says in public that Alyaksandr Lukashenka (Alexander Lukashenko) is both a reliable partner and a good friend for him and for Ukraine as such, we receive only disappointing news from Belarus that Ukrainians are kidnapped there and then they are found in Russia, or they are detained by Belarusian special services. That is why it is twice as interesting to learn what is happening in the neighbouring state. Members of the Belarusian opposition movement Tell the Truth, who visited Kyiv, shared their view on the situation and trends in Belarus with Ukrainian journalists. Tell the Truth is a Belarusian public organization which started as a campaign in Belarus in 2010. Belarusian poet Uladzimir Nyaklyayew (Vladimir Neklyayev) used it as a platform for nomination as a candidate in the 2010 presidential election. The movement continued its operation afterwards. On 8 April 2015, Nyaklyayew announced he was leaving the Tell the Truth campaign. The reason for his departure was the opposition's inability to nominate a single candidate and work out a joint programme ahead of the coming presidential election. Tatstsyana Karatkevich (Tatyana Korotkevich). A co-chairman of the Tell the Truth campaign since 2010. In the 2010 presidential election, she was a proxy of Uladzimir Nyaklyayew. In 2015, she ran for president (scoring 4.42%, according to the Central Electoral Commission). In 2012 and 2016, she ran for the House of Representatives. Andrey Dzmitryyew (Andrey Dmitriyev). A co-chairman of the Tell the Truth campaign. Graduated from the East European School of Political Studies (2007). The founder of the School of Young Managers in Public Administration (SYMPA). In the 2010 presidential election, he headed Nyaklyayew's initiative group and campaign staff. 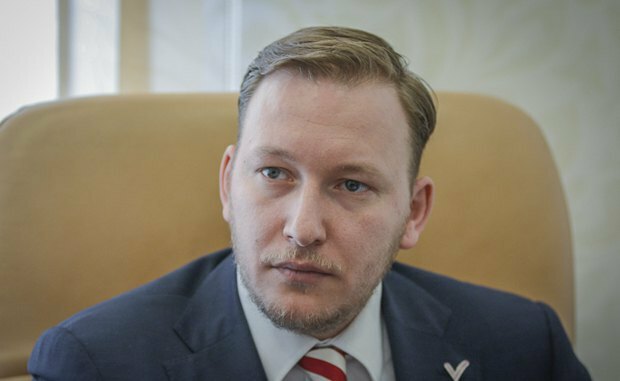 In the 2015 presidential election, he was in charge of Karatkevich's initiative group and campaign staff. Syarhey Vaznyak (Sergey Voznyak). One of the founders and leaders of Tell the Truth NGO. He is in charge of its campaign in the 2018 elections to local councils. A member of the Bureau of the Central Committee of the Belarusian left-wing party A Just World. A member of the Belarusian Association of Journalists. The editor in chief of the Tovarishch newspaper. In the past, he was a career political officer in the Soviet army. He has been involved in professional politics and political journalism since 1992. When people from Russia, Belarus, Kazakhstan and other countries come to Ukraine, they are often asked two questions. The first one is whose land is Crimea? Tatstsyana Karatkevich (hereinafter referred to as T.K.). Ukrainian, of course. The second question is what is going on in Donbas? T.K. Russia is the aggressor. And we issued a public statement on the matter. Andrey Dzmitryyew (hereinafter referred to as AD). 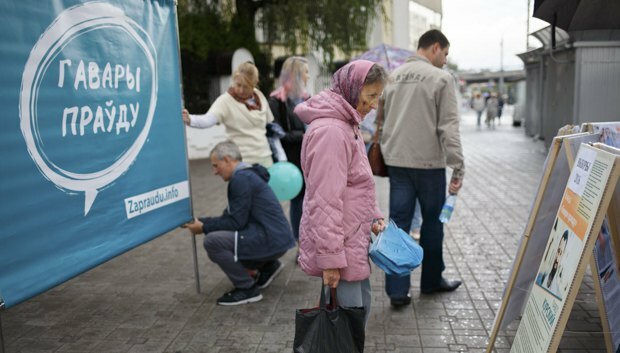 As for "Ukrainian Crimea", polls show that 70% of Belarusian citizens generally approve of Russian actions. They mostly consider that Crimea belongs to Russia and that it has always been the case. But at the same time, they do not support Russian actions in Donbas. It means these are different issues. But what did our elections show? We thought that we would present our position and simply cut off a large number of voters, but no. It turned out that this issue is very emotional for people but secondary. When we began talking about schools, roads, wages, everyone forgot what we thought about the flag, Crimea and Donbas. Tatstsyana got her votes. According to independent surveys, it is about 20% of voters. And it turned out that people are ready to say: "What is the difference whose land Crimea is – just give me a proper salary. Why are prices in war-torn Ukraine lower than in peaceful Belarus?" That is what people are interested in. And this is our discovery too. Before that, it seemed to us that the geopolitical agenda dictated everything. No, it is not true. Once you focus on the domestic agenda, it starts to dominate. And you can deal with geopolitics on your own. What are the current trends in Belarus in general? T.K. There are several global trends. Taking into account all directions that are of interest to us and are part of our system of values, we try to strengthen them. We criticize systemically what does not work. For example, according to the Constitution of Belarus, the country strives for neutrality. Therefore, whenever we met people we told them that we do not need any foreign military bases. All other political forces picked up this idea. There is peculiar dualism: on the one hand, if you look at statistics, Belarusians sympathize with Russia because of some Russian policy. But when you ask them about military bases, they make it clear that they are against the presence of foreign military bases on our territory. This means not only Lukashenka has this fear. A.D. One of the current trends in modern Belarus is the diversification of international relations, that we turn not only to the East, to Russia but also to the West. And this is a fundamental interest. 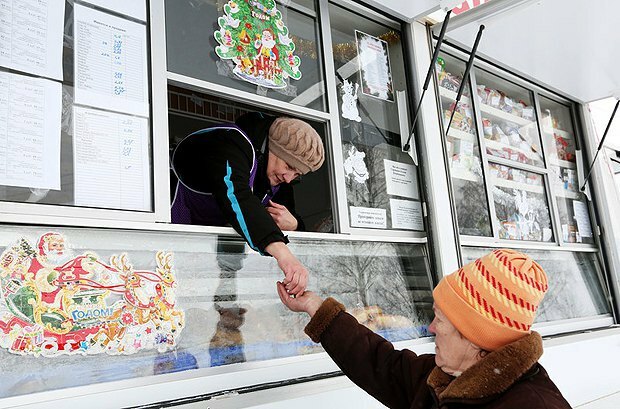 There is a trend towards economic liberalisation in Belarus because we have very little income from small and medium-sized businesses. And that is a problem. One of the successes of Tell the Truth is that we promoted the law on self-employment which would unleash business initiative. We have been doing this since 2015, and now we have received a new document which gives people much more freedom not only at the stage of opening but also in operation (a moratorium on taxes has been introduced). 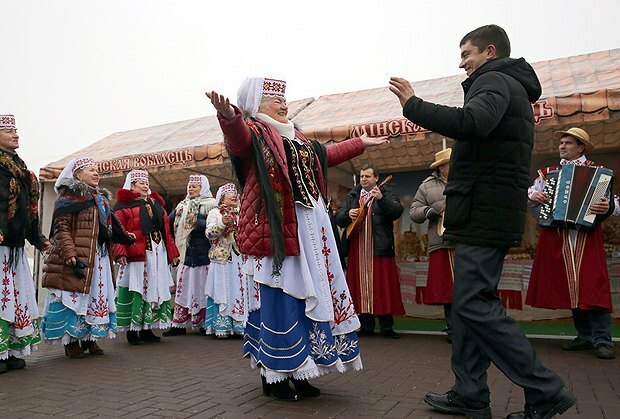 There is also a tendency towards Belarusization which is supported by both democratic forces and the government: "days of embroidered blouses" are held, increasingly more officials speak Belarusian, and there is now a channel, Belarus 3 Culture, whose programming is in Belarusian only. So, we are also "blowing" in this direction. We believe that high-quality TV shows should be produced about the Belarusian history in the first place to show that it starts not only from the Soviet era, but is in fact much longer. We suggested that a national university should be set up and now this discussion is underway thanks to our member of parliament. This is a trend which we are trying to strengthen. The third participant. Political liberalisation is also a trend. Lukashenko ordered that two opposition members be allowed to enter parliament in 2016. We understand that they did not win the election. And now he may issue an order to let a certain number of opposition members into local councils. In our opinion, it is still better than nothing. Yes, it is such a managed democracy, but the socio-economic situation in the country makes him do something. He is also terrified of the whole story with Crimea and Donbas. That is why he began to drift towards national consciousness. We will support that because we are politicians. We could have taken a pose in protest against the "bloody regime", in which "all are bastards, and until it falls, we will not talk to it". This is what our colleagues in the old opposition do. In addition, there is a trend towards functional neutrality, which was born after the situation with Crimea and Donbas: the Belarusian authorities are now trying to diversify military supplies, looking for other partners to source weapons and equipment for the army, and so on. Although it is a long way, at least it has started. On the one hand, there is discontent with the presence of foreign bases, especially Russian ones. But, nevertheless, the largest exercises Zapad-2017 are held, which at least reverses the allegations that Belarus is a neutral country in military terms. The term "functional neutrality" means the ability to hold a neutral position in any political situation, to defend one's own interests. But today the Belarusian authorities are tied to Russia by a number of agreements. This is not just the EAEU (Eurasian Economic Union) treaty but also the common defence space, air defence system and a lot of other things. No-one is going to withdraw from these agreements today. But what do the authorities do? They formalize these things as much as possible. Just imagine that you are in the far corner of a cage with a tiger. You have two options to escape. Ukraine showed us the first one: hit the tiger over the head and run to the exit. We can see that we can reach the exit, having lost an arm or a leg, something else, but the tiger would still hold us. So it is not that easy to get out of the cage. There is a Belarusian option: tell the tiger that he is the best tiger, kiss him and make a small step towards the exit at the same time. This way is dictated not only by the current authorities but also by the Belarusian mentality - we are not so tough. It would have caused much more damage to Belarus if we cancelled Zapad 2017 than if we held the exercise in a very formal manner. I would like to remind you that Putin did not come to Belarus. And I am sure that the Belarusian authorities went to great lengths for this. These were planned military exercises to test the general defence capability and joint forces. That is why it was easier to hold them formally: tanks go from right to left, then back. Everything is clear and according to the schedule: they left, we forgot and keep working. So, in this case, we remain Russia's ally, there should be no illusion about it. But we are not vassals. T.K. The development of local government is another trend, which we are also promoting. Because we understand that after the parliamentary campaign our new slogan is "Belarus is not only Minsk". We visit regions, talk to people, see different practices, different levels of preparedness, different levels of control and independence. Formally, there are tools of self-government but it does not develop because of the enormous centralization of the country. The system as a whole just simulates many things, therefore for us it is a "window of opportunities" to give it some additional incentive. For example, today we have an obvious problem in the state economy built on the preservation of old state enterprises which "milk" the economy. And we have a bloated public sector by about 70%. We certainly say: no, we need a private economy, let us develop. Now they are finally running out of money (for various reasons), and the authorities begin to talk about the need to develop private business. 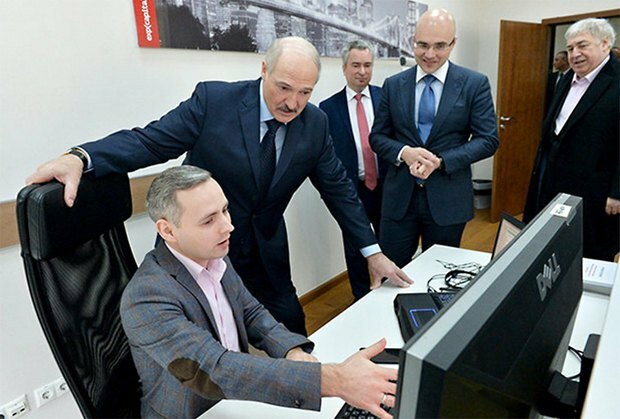 And Lukashenka becomes a champion of private economy. Do you think that Lukashenka has run out of money? A.D. I believe that he has less money. It became clear that he cannot keep such high employment at state-owned enterprises because there is nothing to pay people with. And he needs them to leave for the private sector. So, we have got the situation when we see the centre (including Lukashenka) which wants private economy to develop. But, at the same time, we see industrialists, collective farm directors and partly local authorities, who do not want any private economy. The system of subsidies from the centre is an excellent operating framework for them. And so, it turns out that we support anyone in this case, be it Lukashenka, the economic minister or the finance minister. And so we help them push for Decree No 7 in protection of private business to make sure it gets implemented in the regions. Because this is also our political interest since opposition will never have any majority while most people work for state enterprises because of the way they think and their dependence. This is politics when you do not think who is good or who is bad, what interest your voters have or how you can take a step forward. In your opinion, for how long is Lukashenka prepared to play a double game, flirting in turns with the West and the Kremlin. For as long as they have money? T.K. First of all, we have this situation because of our geography. This means it will always be like this. But at the same time, I want to say that the West certainly plays an important role in the development of Belarus. Today we appreciate the lifting of sanctions and the change of EU policy towards Belarus. Because there is a dialogue, and it is very diverse indeed. Our experts say that our level of informal communications is much higher than that of formal achievements. Probably, quantity will once transform into quality. We have a coordinating group for the implementation of a joint action plan. This group will meet every six months and develop some common projects. These will be interaction projects, not something global like the issue of association. We need help both in accession to WTO (World Trade Organisation) and in economic development, infrastructure projects. That is why we are interested in such interaction. Syarhey Vaznyak. One of the goals is a framework agreement with the EU, which everyone in the region, but us, has. So, this is a very long path and Europeans make it clear. So far even the official authorities are okay with this. It means that nobody today rushes things or says: "Now let's solve everything today". In particular, it is all because of the Ukrainian example. So here is a full consensus between Europe and us - do everything when ready while normalising relations. Under what conditions can Belarus be ready for full participation in European institutions? T.K. A framework agreement with the EU, visa issues (a visa for Belarusians costs 60 euros whereas in Russia it is only 30 euros). In general, the simplification of communications. At the same time, society must be ready for this too. We have many other agreements that we can develop. Changes are visible and they show that we will not return to dictatorship and manual control. A.D. There are three changes that the authorities cannot control. The first one is a transformation of the labour market. Inevitably, the public sector will shrink and the private sector will grow. Today they are trying to prevent this, but it is simply inevitable. This means the role of the state will reduce and the system of its relations with the Belarusian society will change. The second inevitable change concerns information. Nowadays HTP (Belarus's High Tech Park) and IT are practically the only working sector. And it protects the Internet in Belarus. Any talk of China-style control is unrealistic because once they shut down the Internet, they will kill the goose that lays the golden egg. And there is no other goose for now. That is why the Internet in Belarus will only develop. And the third change is the age of people in power. I have recently read an article by a journalist who said that Lukashenka has a better idea of those whom he has seen through the sight of his political "gun" for the past 20 years. Better than of his own children who are 45 years old now: they use a different language, use Facebook and speak English. T.K. All these changes inevitably lead us to a more comprehensive participation in the European project. Another thing is that, for starters, the project itself is changing. And Ukraine is trying to participate in the project that existed before the Ukrainian events. And it has obviously changed by now. What do you mean when you say "before the Ukrainian events"? When the EU enlargement was an unambiguous benefit. Now you cannot say that. Moreover, it is clear that there is no political will for this expansion. The last summit of the Eastern Partnership, which showed attitude towards Ukraine, which has already made its mind on its own, made it very clear. What did Europeans previously say? They said: “Make up your mind - our door is open”. And now they say that their door is open to reforms only. A.D. The Ukrainian-Russian conflict had a profound impact. Earlier, it was very easy to say that "everything that Lukashenka says is bad and we will always be against it". And if suddenly Russia turns against Lukashenka, we will support it for "the enemy of my enemy is my friend". But the conflict in your country has changed attitude and views, including among a large part of the population that was against Lukashenka. For example, they started to think about pro-Russian bases. We can create a situation in which Lukashenka can refer to us during a conversation with Putin and say: "Listen, maybe I do not mind, but do not you see? They will arrange the second Maidan for me, and we will have no grip". And there will be no base thanks to this. So, our interests surprisingly match those of Lukashenka in this situation. At the same time, we are not talking about Belarus's membership of NATO or the EU (for now). So, it seems to me that if we talk about a time frame, this is a change of elites. It does not matter how it happens but it will be a key factor. 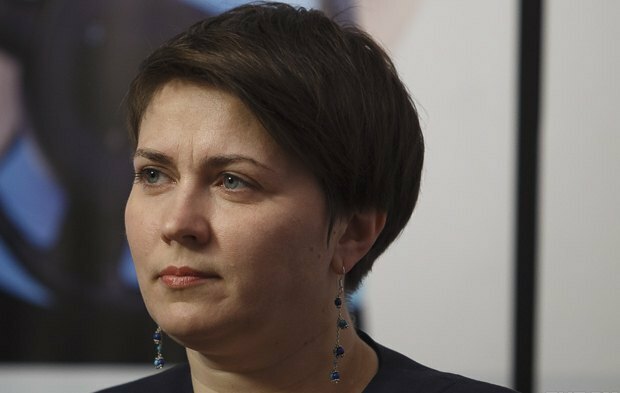 Because there is also the moratorium on death penalty, which is a personal issue for Lukashenka; and we cannot go to the Council of Europe without settling it. Nevertheless, Belarus is an inevitable participant in a large European project. And there is the third point. Despite its full might, I have to say that Russia's influence on Belarus is decreasing after all. Because a generation is growing for whom Belarus is an independent country and this is not up to discusion. Yes, Russia is a friendly country. But these are bells and whistles. Belarusian elites are becoming increasingly more aware of their own interest, which is separate from Russia. At the same time, the last three to four years forced political elites to realize that we can have interests that even contradict Moscow. And we must defend them. You see, the EEU (Eurasian Economic Union) has changed the quality of relations. Before that, we had the Union State [of Belarus and Russia]. What is the Union State? Two people meet but their names are not important. They hold certain posts and reach agreements in between themselves: oil, gas, access of goods to the market. The Eurasian Union complicated the relationship. It turned out that now we need to do lobbying. There are 100,000 different commodity items. All of this is changing the situation. Because if I have to lobby for my milk in this market, I am not a brother or a friend or an ally, I am just one of the participants in a political and economic process. And this means that I have already realized my interest, which is different from their interest. Yes, economic influence is also strong. But listen, Ukraine is at war with Russia but the latter still enjoys colossal influence on your country. And we are not at war, therefore, of course, there will be economic influence on Belarus. Therefore, we sometimes tell the old opposition that we will not be able to pretend that new authorities will come, and we will cast off and sail in the opposite direction. Is there a life after Lukashenka? Is there any fear that Russia will still try to put some compliant person in the Belarusian president's seat after Lukashenka leaves? Are there any candidates or powers which the Kremlin supports and do they have any clout? Of course, there are. But in our country, everything happens discreetly. When you talk about a change of the regime, do you also mean the option of succession? There is a cruel joke about Kolya, Lukashenka’s son, and one more "whatever Putin decides, so be it". There are such opinions in society, and they are spread to accustom people to inaction so that they take the position "let us wait and see". We do not take it seriously because we want to see a strong civil society. Do any electoral preferences change? In particular, Tatstsyana, what do Belarusians think of you today? T.K. First, people come to us, they saw new opportunities for self-fulfilment and that they can have a say in political processes. Naturally, the attitude towards the country's main post has changed: now there is a realization that it can be held by a woman. Why are you participating in local elections? After all, there are people in the regions who were sent by bigwigs and you will have to work in these conditions. Do you think that the opposition will have any say in the regions? We believe that one person will certainly not move the mountains but he will give freedom to this system and will continue to strengthen this trend towards political liberalisation. Besides, we have 110 members of parliament; no-one knew these people and their names before. I was asked why I was running for parliament, after all they only meet once every four years. This is a level of political culture. Now that there is competition, all these deputies talk about themselves, create their own websites, social network accounts and try to represent voters' interests. We see a completely different system of communication with society. And it also helps to include many people in the process. There is also demand for reformers from within the system. They (officials) say: “I want to see a person in my team who argues with me”. People who simply understand that the result reached through dialogue will be more effective. This is a two-way street. Our opposition is non-systemic and has been proud of this for a very long time, doing everything to be even less systemic. We have a different task, which is to embed criticism into the system and make a discussion a part of the system. Today the political task for the opposition is to secure access to information. When we go to collect signatures from door to door, people say: “You are good guys, but you are in opposition, and there is nothing you can do”. And the opportunity to be inside the system is an opportunity to demonstrate an ability to change something for people, especially for Belarusians with long-established views of the world. And if you are not in power, in the broadest sense of the word, then you cannot do anything a priori. We always talk about a great difference between Ukraine and Belarus. There is a weak state and a strong civil society in Ukraine. It is the opposite in Belarus. There may be a correlation: we have a very strong state, good government institutions; they work. But that is why civil society is hard-pressed. The state wants to be a civil society and behaves accordingly. And we are trying to prove that it is not going to work. So, are you part of the system? Of course, we strive to take appropriate places in this system, but we are already in one way or another. We are expanding this system due to our activity and different strategy, and not just for ourselves. Yes, we would like to see more organizations similar to us. That is why we are creating this competitive environment for everyone, urging others to be pro-active. Here we will not bother you and here we can help. And you know, it gradually starts to work. What kind of relationship do you have with the traditional, non-systemic opposition? We have a good partnership. We join efforts with regard to some issues that are important to us. For example, the Greens defend the issue of transparency and the issue of a nuclear power plant construction. And we support them, jointly participate in events, sign their petitions, and share information in our offices. 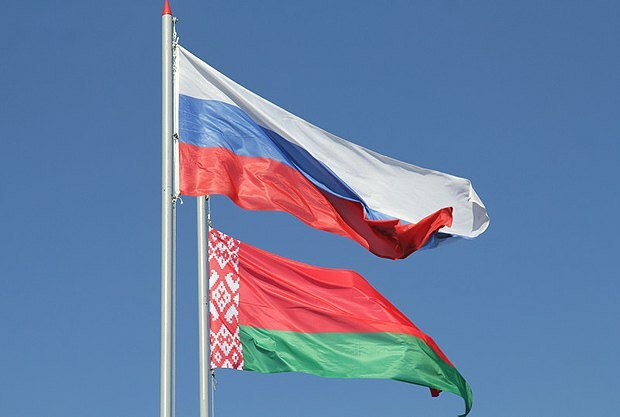 We share the BPF's (Belarusian People's Front) views on the neutrality of Belarus: withdrawal from the CSTO (Collective Security Treaty Organization), the absence of foreign military bases. That means we are ready to cooperate with them. 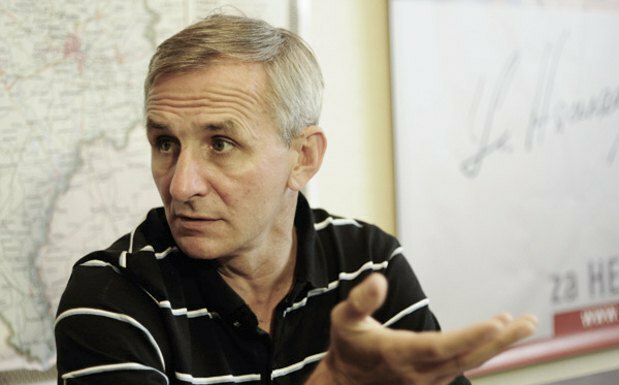 A.D. Our classic old opposition wants to include an international factor to ensure that European or other politicians force the Belarusian authorities to sit down at the negotiating table with the opposition. Well, we have a different opinion - we must ensure this situation on our own. And what is more, we are already doing this. 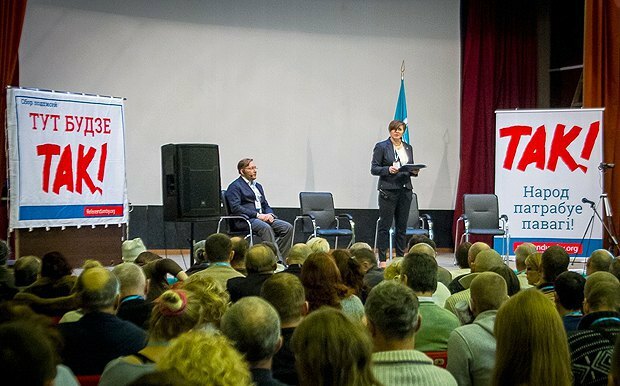 For example, we held the first roundtable in 20 years with the local authorities in Hrodna. The city head invited all opposition representatives and they were discussing the social and economic situation in the region, employment and so on. We promote the same thing. We participate in some sort of cross-events, where you can represent an alternative point of view. That is the difference between us. How do you plan to work with a non-systemic part of the opposition in the coming local elections? I would like to return to the approach. Having analysed the work of opposition coalitions, we saw that the opposition and the coalition built around such statements as "we all want democracy" or "we all are for elections" or "we all would like to choose a single candidate" cause even greater problems. Later everyone gets busy blaming each other and thinking how to shift the blame for a coalition failure. In the existing political system, in which we do not make it to parliament (I mean that there are no elections as such), we do not see any point in this now. That is why we proposed another approach to interaction, that is interaction on specific issues. For example, we all say today that nuclear power plants are dangerous. Everyone who agrees, let us unite! Let us show what we want to achieve and work specifically on it. We can have different points of view on any other thing. The second point (a matter of principle for us) is that we do not attack each other. Even when the opposition attacks us, we say nothing in response. That means our opponent today is the Belarusian government, especially the part of it that does not allow reforms to progress. We systemically criticise and argue with this part. But we do not argue with the opposition, everyone is doing their own job. 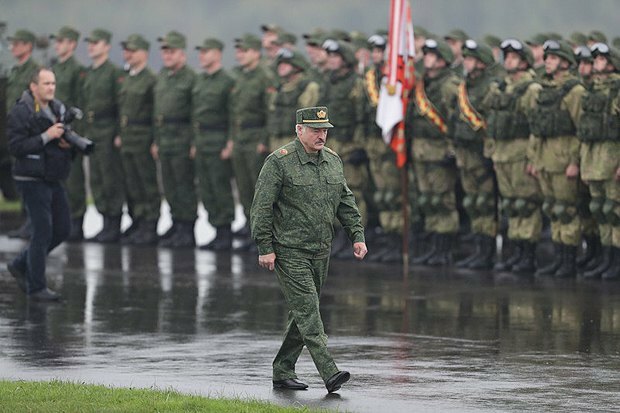 That is what we call "guerrilla tactics": there is no need to join ranks into one army, but we have to employ a tactic that would be clear to Belarusians. This is our mentality: there is a set of groups, each acting in its place, based on the understanding of tasks, objectives and available resources. And all of them share a common understanding of the goals: we need a democratic independent Belarus, we need changes that improve people's lives. T.K. Probably not. Because the situation has changed and the society has changed: there were regional protests in the spring, and we got a feeling that we needed to communicate. But this also happened because we constantly say that we need more advocates of change. And they are some among the authorities too. One of the most important factors which made this roundtable possible at all was the emergence of another opposition which not just opposes but offers an alternative, which says it is necessary to agree which changes are needed and how to solve problems. It means we always come up with proposals. We do not rule out a personal factor either. In the regions, everything depends on people, on their political will and lack of fear to be punished for it. S.V. Are we being used by the authorities? We were the ones who used the situation. 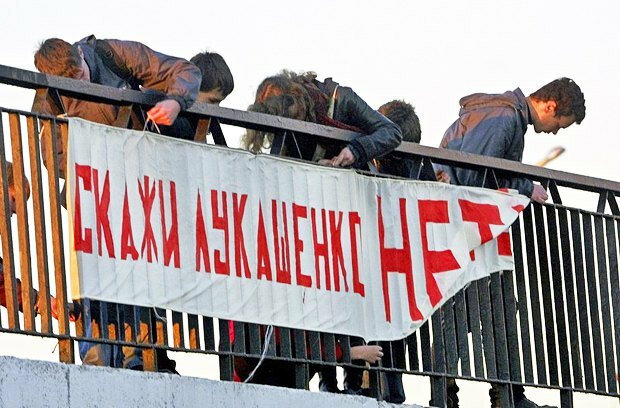 We, the public movement Tell the Truth, saw that Lukashenka would need to conduct a more or less decent election after the socio-economic situation worsens, there is less aid and the economy deteriorates. We are politicians so we decided to benefit from this situation. Today, the entire old opposition will nominate a total of 100-200 candidates for local councillors. We will nominate 200 candidates from one political force alone. By the way, 90% of people on our list of candidates did not even think about politics just six months ago (I know it for sure as campaign chief). We caught them with our approach, we found an approach to the group of people who got disappointed in Lukashenka’ policy but did not want to go with the old opposition to the square to fight with OMON (riot police). We attracted people who want change, but also want to stay out of jail, keep their business and leave their families out of trouble. By the way, such people make the majority in the country. A. D. There is only one convenient condition for the Belarusian authorities when there is no-one else. All the rest is inconvenient, although there are different degrees of inconvenience. The opposition which says things that are important to people, which cannot be blamed for reluctance to engage in dialogue, which constantly offers it and shows that it is a true policy dialogue, which constantly criticizes the authorities for the lack of reforms is indeed inconvenient. We use the moment when the authorities have no other choice but to talk to us because we de facto use their paradigm. We de facto use what they have told the society all the time. It does not mean now who is convenient or not. The problem is how to prevent (and we are doing this now) an imitation of dialogue and to make it effective. I mean, we have moved from the revolution, when your main task is not to understand people's interests, not to advance their interests, but to say: "There is a struggle between good and bad, these people are good, those people are bad, and you have to choose one side." We said: no, there is a different breakdown. Yes, there are many people with different interests. And we must unite proponents of reforms, be they in power, in opposition, in society or in business. It is convenient for that part of authorities that supports reforms. Are there such people in power? Who represents them? Well, of course. The part of the authorities opposing reforms today does not like it at all because demand for reforms becomes more concentrated, more distinctive and it is much more difficult to ignore, ridicule, trivialize or make it insignificant. T.K. First, we said even before the election that we wanted the sanctions to be lifted because it was an ineffective and rather cosmetic measure for Belarus and had no influence on the global situation to make the authorities feel its hands tied or incapable of doing something. We called for dialogue from the very beginning, so it would be wrong to say that it was a result of my participation. Second, I went this way all along: start, nomination, collection of signatures, and filing of a complaint that I did not agree with the election results. It is important for us that Belarus get involved in the international community and in dialogue because it transforms people much faster than a closed wall and lack of dialogue. A.D. We did not legitimise Lukashenka, you did – let us make it clear. The Russian-Ukrainian conflict did everything to make Lukashenka "handshakable". Of course, Lukashenka's position helped him in this case since Belarus did not unequivocally support Russia in recognition of Crimea, being a political and military ally of Moscow at the same time. Having chosen a neutral position, Lukashenka facilitated the Minsk agreements, the Minsk process and so on. 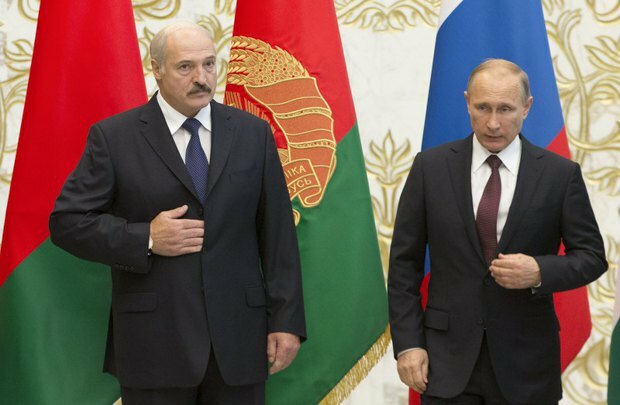 The lifting of sanctions on Belarus made it possible for Lukashenka to earn by delivering European goods to Russia. How do you feel about this? We are doing nothing illegal. Resale is not a crime. For example, we buy apples in Poland, bring them to Belarus, brand and sell them. So, we are glad that thanks to Belarus, the Russian people can eat good apples, good cheese, and some shrimps. It is a different matter if our neighbour acts a little out of the way in some situations. For example, bulldozes food ... I will never be able to understand this: why did you not just confiscate it and give it to children! There are several million children in the streets and orphanages in the country. So, there is someone to give this French cheese to. But let them deal with their quirks on their own.